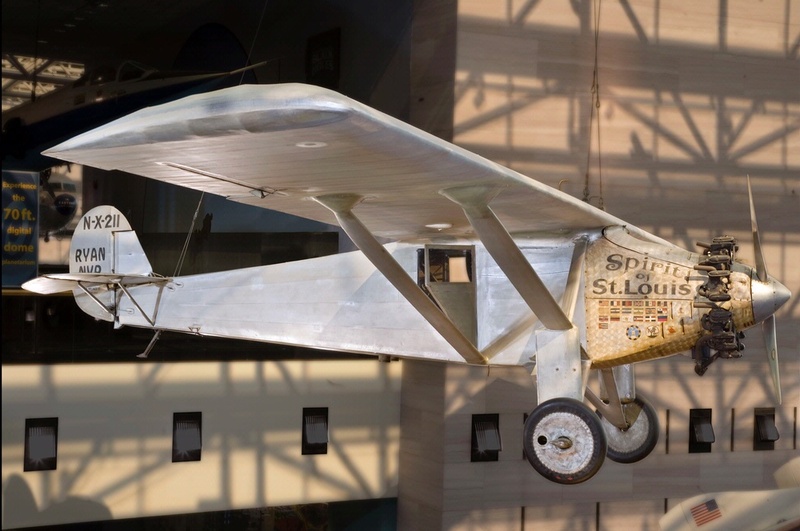 To take advantage of public interest in Lindbergh after his transatlantic flight, the Daniel Guggenheim Fund for the Promotion of Aeronautics sponsored a tour in 1927 in which Lindbergh flew the Spirit of St. Louis to all 48 states. The tour’s goals were to stimulate interest in aviation, encourage use of existing commercial mail and passenger air services, and promote the development of airports and communications by air. The Guggenheim Fund estimated that 30 million saw the Spirit along the way. 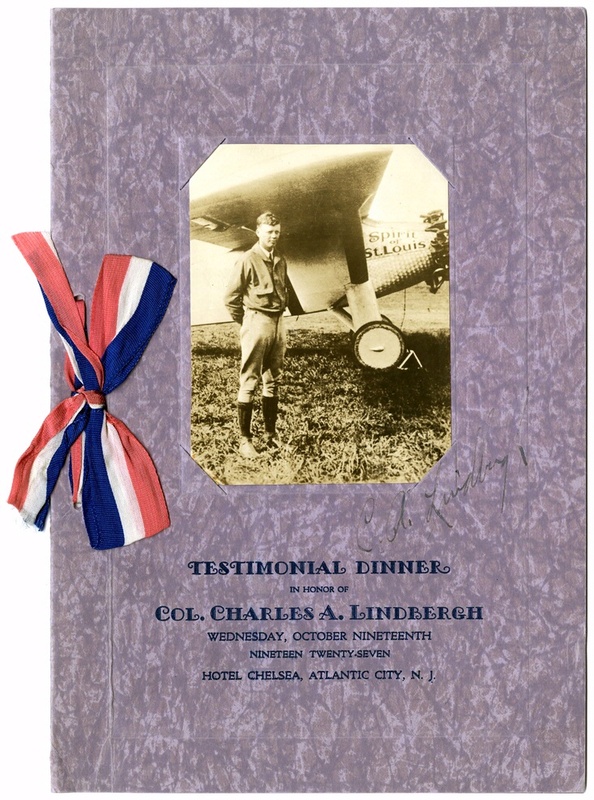 The tour enhanced the public’s perception of Lindbergh as a hero and of the Spirit as a national icon. 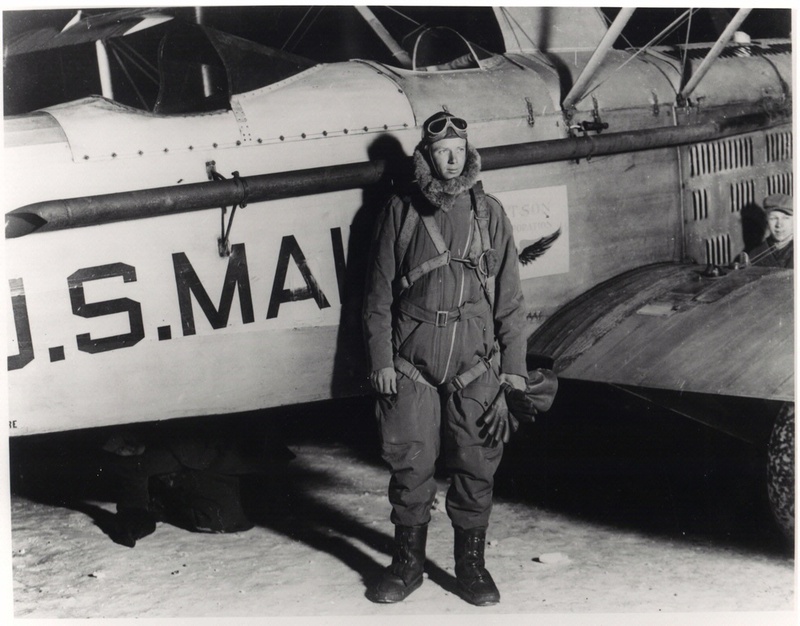 It also made him an acknowledged expert on aviation, a role he played nearly to the end of his life. 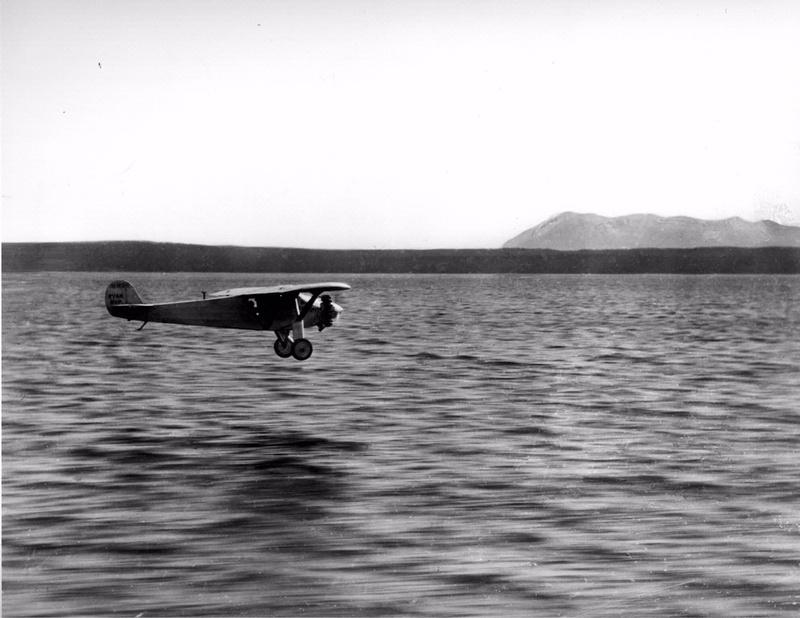 Lindbergh like to fly low in "ground effect" believing like others that there was a cushion of air that improved aircraft performance. 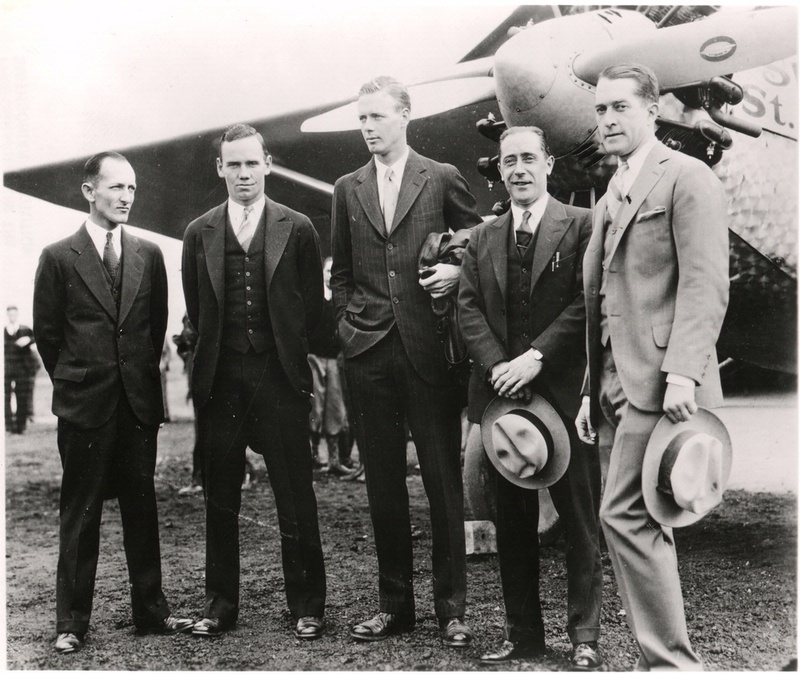 The tour’s participants (left to right): Donald E. Keyhoe, Philip Love, Charles Lindbergh, C. C. Maidment, and Milburn Kusterer. 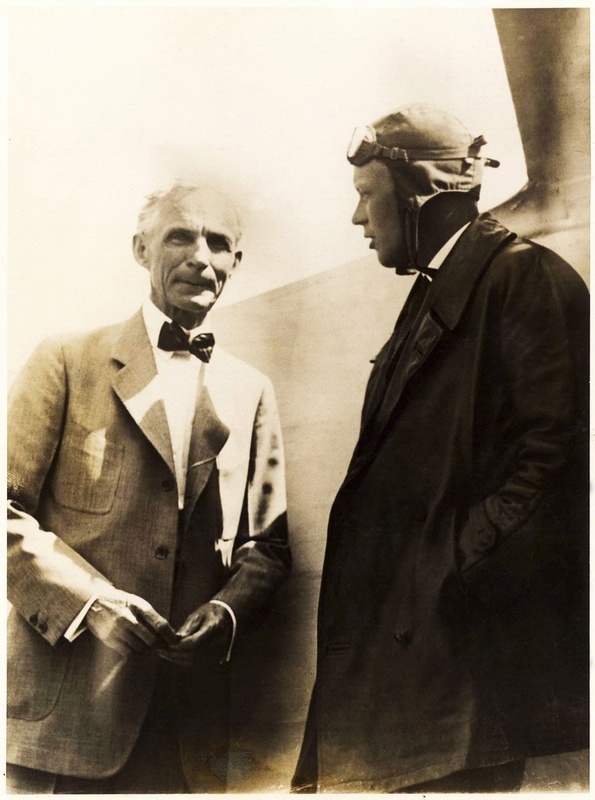 Lindbergh gave Henry Ford his first airplane ride during his visit to Dearborn, Michigan. 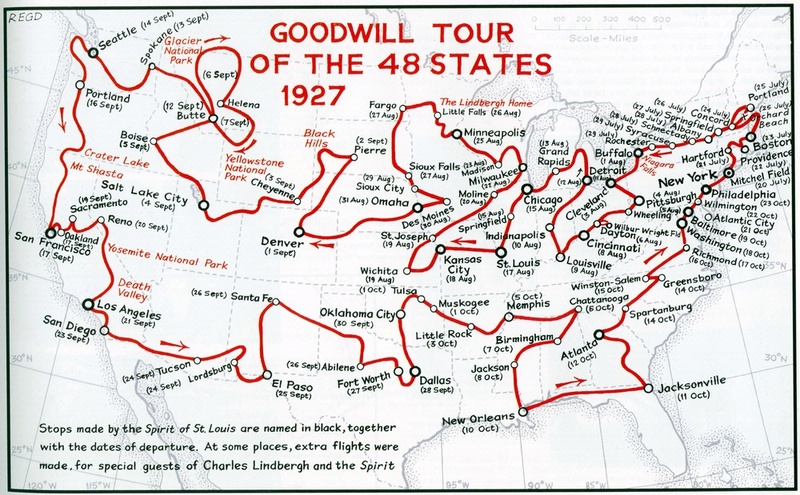 Lindbergh's Goodwill Tour lasted 95 days through 82 cities and 23 state capitals.